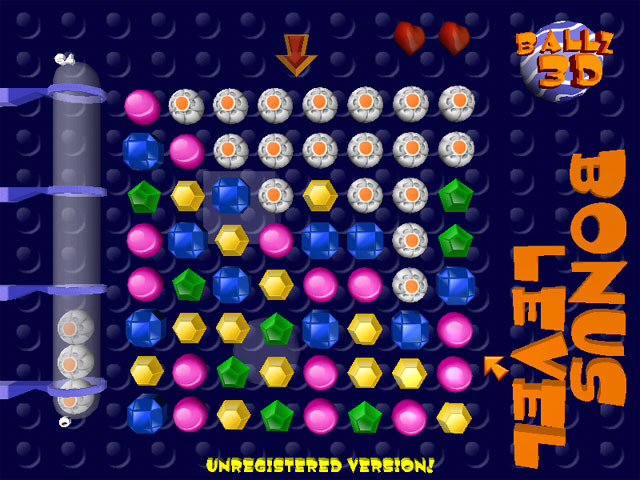 Ballz3D Classic is an original high-score type game! 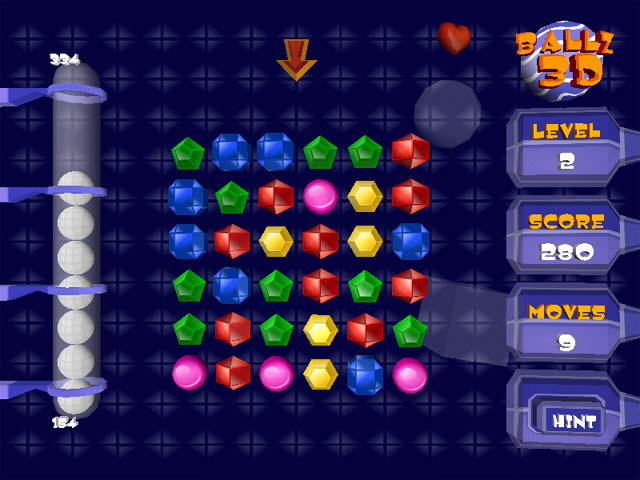 Balz3D is an addictive puzzle based on the famous Lines game. 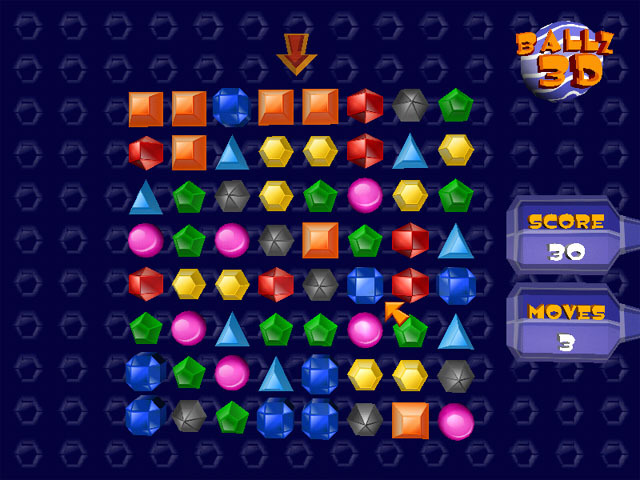 The objective of the game is to score as many points as possible by forming various shapes with colored gems. Additional lives that you earn in the process of the game help you avoid losing the game when there are no moves left. A variety of bonuses including Joker, Bomb, Dead Ball and Arrow Balls make the game even more interesting. The game has unlimited number of levels and four playing modes: Arcade, Action, Strategy and Classic. You can also enable various visual effects (via the Options menu). The game is fully customizable. If you do not know how to play the game, use the Demo button in the game menu or read the online help. You can also enable various visual effects (via the Options menu). The game is fully customizable.